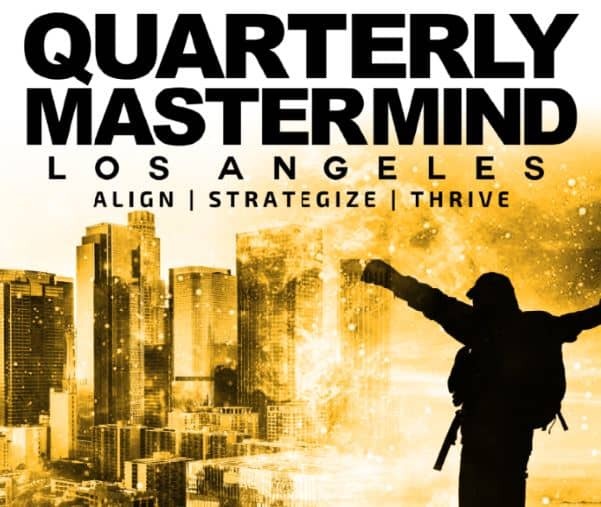 The Quarterly Mastermind is launching its first-ever practical mastermind strategy session for entrepreneurs, business owners and professionals in the Los Angeles area. The idea started when my friend and business owner Frank and I were talking about going back to doing masterminds, I used to do some in L.A. back in 2012. He then posed the question on his Facebook account to see who would be interested in attending a mastermind which yielded several inquiries. We both talked and agreed it was time we just had to do it, it was time to add more value. We’ve been friends for a decade and we are always talking about our goals and where we are at with them – now we get to share that process with everyone. 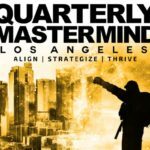 A mastermind is, according to Napoleon Hill: “Two or more people actively engaged in the pursuit of a definite purpose with a positive mental attitude, creating an unbeatable force.” What if we combined the power of a mastermind with a master class on self-alignment, goal-setting, and coaching? Well, that is exactly what these will be. 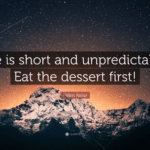 We wanted to create something that was practical and local to the business owners, entrepreneurs, and professionals with big dreams. This will be the first of its kind. The first one will be held in :Los Angeles, CA on March 31st and we anticipate having them every quarter. Learn more about them at www.QuarterlyMastermind.com.